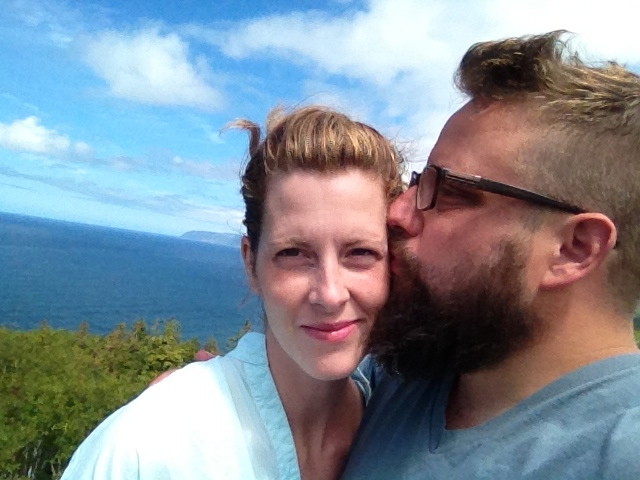 back from our fabulous cape breton capers. back from our cottage cruisin'. our trip out to the church in cape breton was phenomenial. surrounded by the gorgeous scenery of ingonish camping & the cabot trail, good eats & great fellowship were the highlights. and you know how i feel about these great folks. other than a brief trip to the strangest & yet most endearing emerg i have ever seen for a little something they like to call systemic poison ivy, it was a blast! curb side garbage turned into cottage love. hope the stain lasts, i didn't prime them! #1: railing are important, especially two stories up! princess turret/pirate ship... stay tuned!